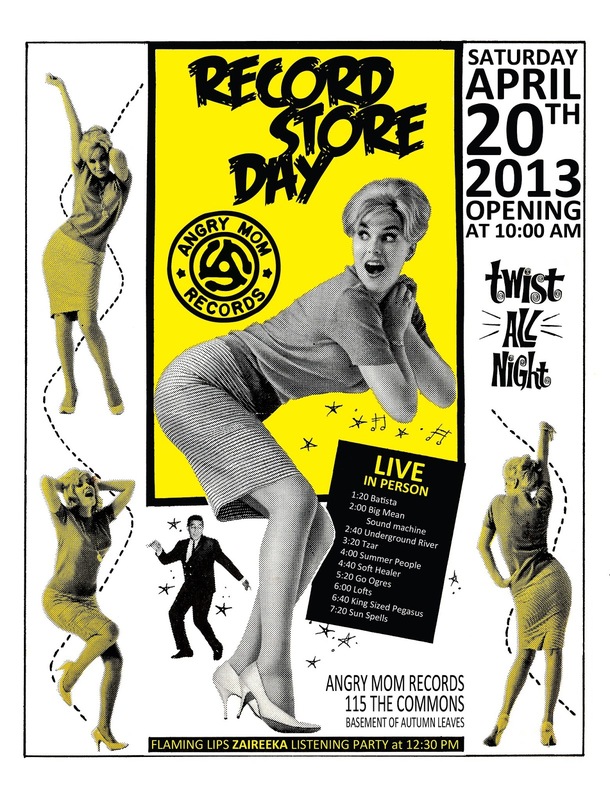 We're playing a show to celebrate Record Store Day at Angry Mom Records in Ithaca this Saturday (April 20th) with a bunch of other sweet bands. We're playing at 5:20! Come & buy records / see a great lineup. You have nothing to lose, I know this. 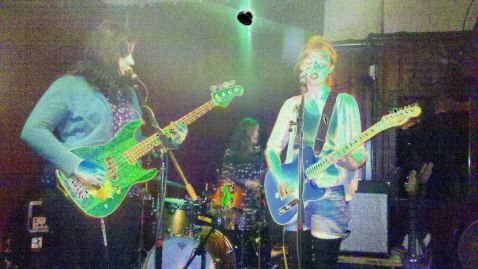 We played a show last weekend at the Chapter House in Ithaca. We played on a tiny stage. There was endless free popcorn provided for everyone. The pinball machine was sort of busted, but I didn't even mind. It was perfect. Breakthru radio featured music of ours on their show highlighting Ithaca bands. Sift through their site to stream the show, if you want! Ryan Eilbeck reviewed some of my zines on his blog. Go forth & read it. 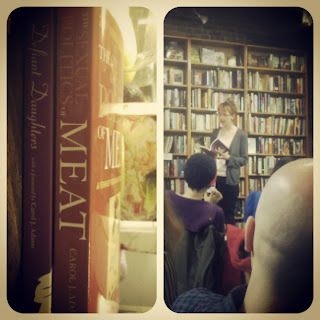 Laura-Marie reviewed nbta #9 over on Syndicated Zine Reviews. Check it out. I answered some questions for The New Paltz Oracle & they wrote up a piece on the art show and you can read that here. 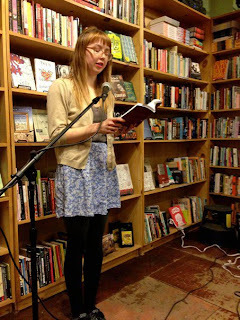 I did a reading at Bluestockings last month and it was amazing. Too crowded for me to really do any serious browsing of their magnificent shelves, which was really the only bummer. The reading was a standing room only / line out the door sorta thing, which felt pretty wild. 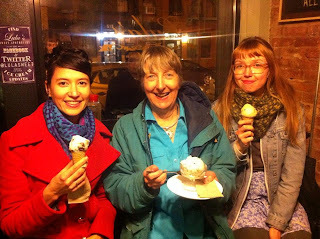 The Vietnamese food feast & ice cream with Carol Adams afterwards, though? That was really where it was at. 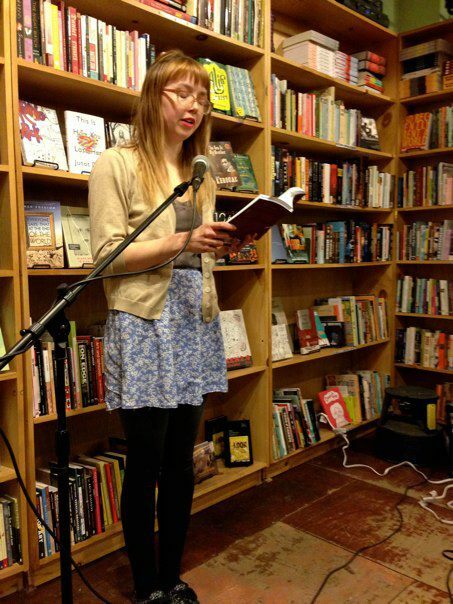 I did an interview with Lantern that night & it's up on the internet now. Since it's a hard pill to swallow to see yourself all zoomed in and talking, I'll let y'all seek that one out if you want it. Spoiler alert: I say "feminism" a bunch. 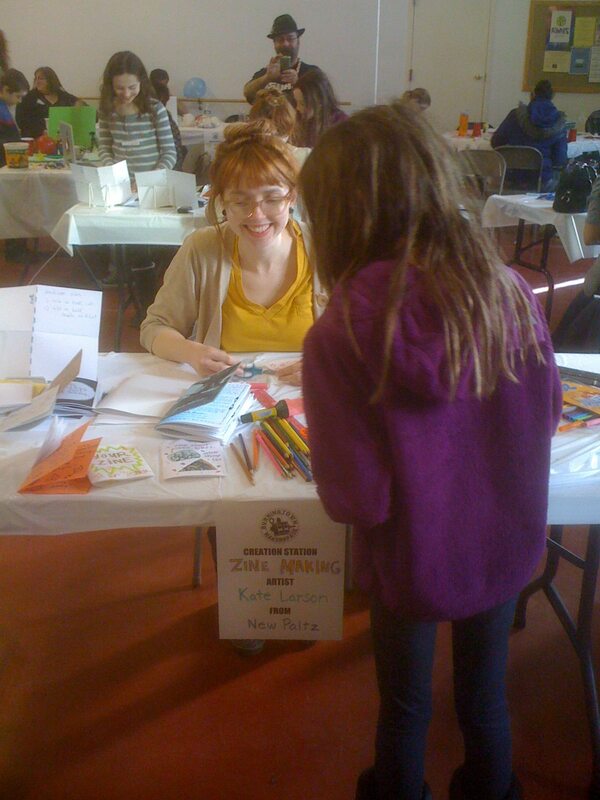 I did a little zine workshop for kids at the Burningtown Maker Space a few weeks ago! It was pretty much the best. Sidenote: being given a budget to spend on zine materials for this sorta event? The dreamiest.